A service bureau has discovered the sweetest of solutions to keep a busy production line running. 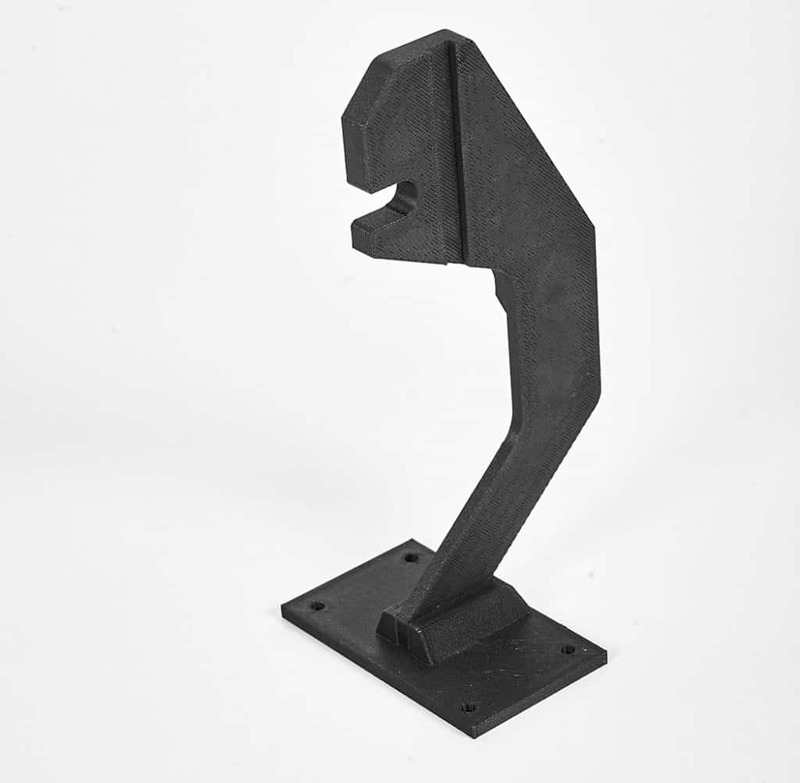 Visual First is using ultra-tough Stratasys FDM Nylon 12CF carbon-filled thermoplastic to 3D-print replacement metal machine parts for its customer, The Chocolate Factory, slashing machine down time significantly. It used to take four weeks to source and produce the handmade hook-shaped metal part that lifts wrapped chocolate bars onto a conveyer belt which, due to its heavy workload, would typically malfunction three times a month. Now, however, thanks to the Stratasys Fortus 450mc system and FDM Nylon 12CF, 3D-printed hooks are keeping The Chocolate Factory’s network of packaging machines moving – and it’s 60 per cent cheaper to produce each one. “It is crucial that the packaging machine is always operational, especially during hectic periods such as Christmas,” said Carl van de Rijzen, Business Owner at Visual First. “With Stratasys additive manufacturing, we can produce customised replacement parts on-demand that can perform just as effectively as the metal machine parts. FDM Nylon 12CF, which contains 35 per cent chopped carbon-fibre, is much lighter than metal and boasts a high stiffness-to-weight ratio, resulting in parts of extreme rigidity. Van de Rijzen added: “The success of the 3D printed part was instantly clear – the material is impossible to bend. Following the success of the 3D printed replacement part, The Chocolate Factory is now turning to Visual First to solve other design challenges – most notably to develop a prototype casting mould to test acceptance of its products. Traditionally this is made from plastic, which is both time-consuming and expensive.